Are you an author in the state of Oregon who has just finished writing a book and now need a publisher not too far from you? 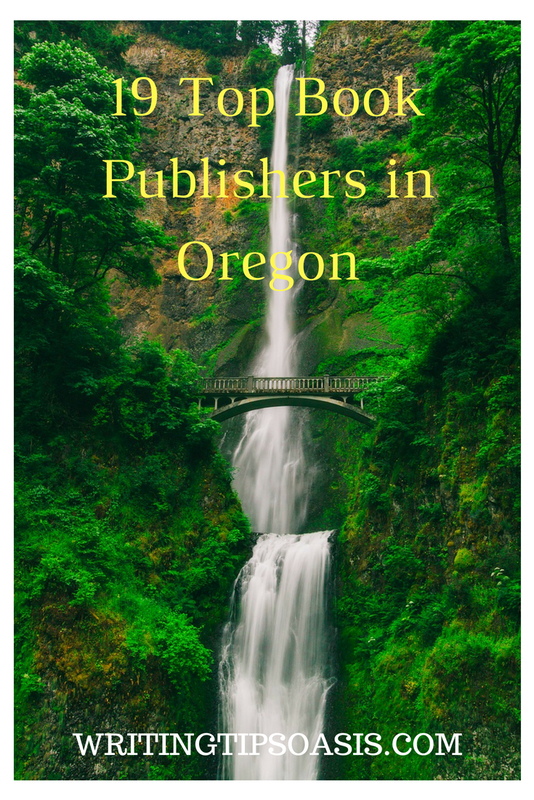 One of the following 19 top book publishers in Oregon might be interested in receiving your manuscript for possible publication. Tin House was founded by Win McCormack in Portland in 1999. They began as a literary journal, hoping to target a wider audience than the typical academic audience of most literary journals. In 2005, Tin House started Tin House Books and expanded into book publishing, publishing about twelve books per year. While Tin House and Tin House Books have published quite a few well-known writers including Sherman Alexie and Stephen King, they do often publish undiscovered writers. Tin House Books takes submissions in September and March, and submissions can be sent to Tin House Online via their Submittable profile. Hawthorne Books was founded by Rhonda Hughes in Portland, Oregon in 2001. This independent small press primarily focuses on literary fiction and other smaller-scale manuscripts that might not receive the attention they deserve from a larger, mass-market publishing house. They are no longer accepting unsolicited manuscripts for the rest of the calendar year, but agents may still submit queries directly to the editors. Eraserhead Press is an independent press in Portland, Oregon focusing on bizarro fiction and horror. Founded in 1999 by Rose O’Keefe, they aim to attract readers and writers with a taste for unusual and discomforting literature. They are currently accepting submissions of bizarro fiction between 20,000-100,000 words with a good balance of plot and character. Submissions can be emailed to eraserheadsubmissions@gmail.com. In the body of the email include an author bio and a three-five sentence summary. Attached to the email, include a full manuscript with a synopsis and details of the manuscript. Eraserhead Press also have a subsidiary press called Deadite Press. Deadite Press focuses on cult horror fiction, and is also accepting submissions. Black Lyon Publishing is a press focusing on nonfiction works and romance fiction. Established in January 2007 in Baker City, Oregon, they are open to all manuscripts, hoping to find talent that may slip through the cracks of larger New York City-based publishers, and are operated mostly by local writers and editors. Fiction manuscript submissions are currently limited only to authors who have been previously published by Black Lyon Publishing, but nonfiction submissions of 45,000 to 80,000 words are welcome. They are especially seeking manuscripts in Self-Help and Spirituality, Religion and New Age, How-to, and True Crime. Submissions should be made to Queries@BlackLyonPublishing.com. The body of the email should contain the author name, the manuscript title, the book type, a word count, a 1-2 paragraph description of the work, the first three paragraphs, and a table of contents. CALYX is a non-profit press that publishes literature by and for women. Founded in 1976 in Corvallis, Oregon, CALYX puts out a twice-per-year literature journal, and starting in 1986, CALYX Books publishes one to three books per year. CALYX is run by volunteers and prioritizes works by undiscovered writers. Poetry and short prose are accepted between October 1st and December 31st of each year, but longer manuscripts are accepted year-round. Online submissions are preferred via their online submissions manager, but submissions can be mailed as well. Dark Regions Press is a publisher in Portland, Oregon focusing on horror, fantasy, and science fiction manuscripts. Created in 1985 by Joe Morey, Dark Regions focuses on the dark arts, hoping to add to the literature of dark arts available and grow as a dark arts publisher. They have published hundreds of writers including Joyce Carol Oates, Stephen King, and Neil Gaiman. Dark Arts Press is currently closed to general writing submissions but occasionally opens for individual projects, and are still open to viewing portfolios. Interested writers can contact Dark Regions using the contact form on their website. Forest Avenue Press is a publishing house in Portland, Oregon focusing on literary fiction. Founded in 2012 in Portland by Laura Stanfill, they prioritize storytelling and unique perspectives. Forest Avenue Press is also home to the Main Street Writers Movement, a group of writers and publishers who hope to assist writers in their publishing journey through transparency of the process, support underrepresented communities, and encourage readers to buy from and support indie booksellers. Submissions of adult literary fiction are welcome in the 60,000 to 80,000 word range. Submissions can be made through Forest Avenue Press’s Submittable profile. Harvest House Publishers is a publishing house in Eugene, Oregon for Christian literature. Founded by Bob Hawking Sr in 1984, Harvest House strives to publish literature with a strong Christian voice to support readers that are suffering from emotional pain. Harvest House also has a children’s division called Harvest Kids that publishes for children up to age 12, and a line of spiritual resources especially for children 8 to 12. Harvest House Publishers does not currently accept unsolicited manuscripts, but they recommend working with Christian Manuscripts Submissions. OSU Press is a university press that focuses on the history and culture of the Pacific Northwest, especially indigenous narratives. The OSU Press was founded in 1961, intended to publish scholarly works on natural science, and over the last 57 years has published almost 400 books. While they are not currently accepting unsolicited proposals or manuscripts, they will accept a prospectus by mail or email. The prospectus should include a bio and the details of the manuscript, as well as the intended audience and some detail on the manuscript’s marketability. Ooligan Press is an indie publisher in Portland founded in 2001 and staffed by the students of Portland State University. They primarily publish literary fiction, nonfiction, memoirs, young adult fiction, books about writing, publishing, and book production, and books on sustainable living practices. Ooligan Press only accepts digital submissions by email or using Submittable.com. Emails should have the query letter in the body of the email, not as an email attachment, and should include the basic details on the manuscript, a brief author bio, the intended audience and expected market, and contact information. Newsage Press is an independent press in Troutdale. Founded by Maureen R Michelson in 1985, Newsage Press was created with the purpose of publishing well written and high quality books for adult and young adult audiences. They publish nonfiction books focusing on social issues, including historical conflicts and modern environmental issues. Many books published by Newsage Press are used in classrooms and libraries. Proposals should be mailed, and should include a bio, details on the book and its contents, any art that will be included, marketing expectations and considerations, and the current length of the manuscript. Beyond Words Publishing is an independent publisher in Hillsboro, Oregon of New Age materials, including books, DVDs, and other personal products. Founded in 1983 as a publisher of photographic coffee table books, they then expanded into children’s books and in 2003, they found success with The Hidden Messages in Water by Dr. Masuro Emoto inspired them to focus on New Age literature and products. While Beyond Words is not accepting unsolicited manuscripts, they do accept manuscripts from agents on adult nonfiction, and children’s fiction and nonfiction. Proposals should contain a query letter, and author bio, at least five sample chapters, a book synopsis and table of contents, a market analysis, and a self addressed envelope. All submissions should be sent by mail. Six Degrees Publishing Group is a press in Portland, Oregon that focuses on both fiction and non-fiction aimed at personal improvement and inspiration. Founded in 2013, they are particularly interested in young adult fiction that can have an impact on society, including books on philosophy, spirituality, health, or environmental topics. Submissions must be made by email, and must include a bio, details on the manuscript status and editing, a synopsis of the book, and possible marketing leads including the intended audience and details on any existing following. YesYes Books is a press in Portland, Oregon focusing on poetry, fiction, and experimental art. They are looking for manuscripts with a strong voice and a compelling narrative, and have a history of publishing best-selling books by diverse authors. Some of the work they have published have won the American Book Award and the Lambda Award for Gay Poetry. Open reading periods for poetry and fiction are held from April 1st to May 15th. Work should be submitted through Submittable, and should include an excerpt up to 50 pages. Cover letters are welcome but not required. YesYes Books charges a $22 reading fee per title submitted. Wipf and Stock is a press in Eugene, Oregon focusing on theological studies, philosophy, and history. Founded in 1995 by John Wipf and Jon Stock, they publish a wide variety of books with theological topics of various religious groups. Submissions are accepted by email to proposal@wipfandstock.com, and should include a copy of their proposal form found on their website along with the manuscript details. Acorn Publishing is a small press located in Medford, Oregon. The press was founded in 2015 by two authors, Holly Kammier and Jessica Therrien, who were unhappy with their own publishing experiences. They hoped to create a publishing company that gives the power of publishing back to the authors, in which authors keep all of the printing rights of their book, but still receive the support they need for the publishing and marketing process. Like traditional publishing, submissions are reviewed, and accepted or declined based on Acorn Publishing’s quality and style requirements. The publishing team goes through standard editing processes before printing. However, unlike traditional publishing, the author must cover the publishing costs, and then can keep the full profits. Submissions begin with a query letter and three chapter sample to acornpublishingLLC@gmail.com. Airlie Press is a nonprofit poetry press founded in 2007 in Salem, Oregon. The board consists of six-eight members, each of whom share responsibilities in the press management. New members may join through their submission and interview process, and if accepted, must commit to a three-year term on the board. Due to its small audience and nonprofit status, Airlie Press focuses on author experience and exposure, with the majority of all profits going to reach a wider audience. For submission, a full volume of poetry must be submitted via Submittable. The volume should be 48-90 pages, and include a title page, a table of contents, and an acknowledgements page. The manuscript should not include identifying information such as name and contact information. Ashland Creek Press is a boutique publisher, focusing exclusively on environmental and ecological issues. John Yunker and Midge Raymond founded the press in 2011 in Ashland, and the press has received a number of awards from Publishers Weekly, Booklist, and others. Ashland Creek Press is not currently accepting unsolicited manuscripts from authors, but still accepts queries from literary agents by email. Octopus Books is a small poetry press in Portland, publishing about four books of poetry each year. Zachary Schomburg and Mathias Svalina founded Octopus Books in 2006, focusing on new writers with original styles. Submissions are only accepted during the month of April, via Submittable.com. The manuscript must be at least 48 pages long to be considered. A reading fee of $15 is required, but that fee is refunded for paid members. Do you know any other book publishers in Oregon? Please tell us about them in the comments box below!